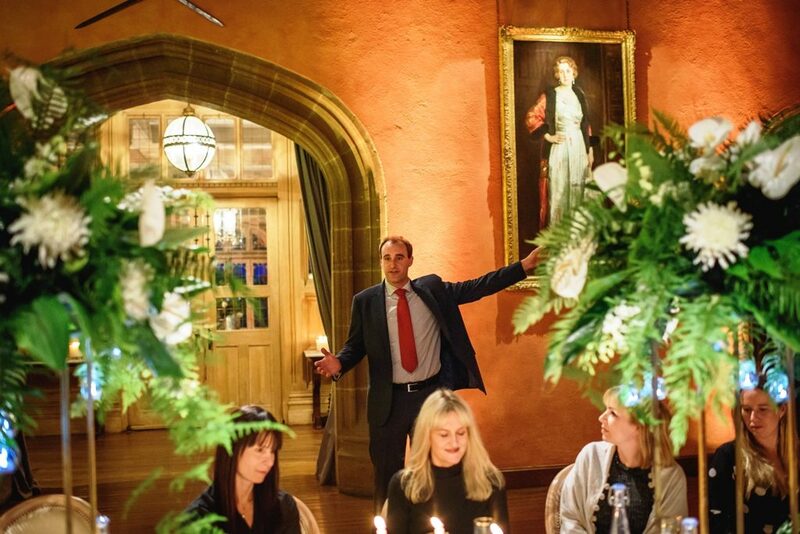 When a brief arrives for a corporate dinner in one of the most stunning locations in West Sussex, how can we fail not to be excited. 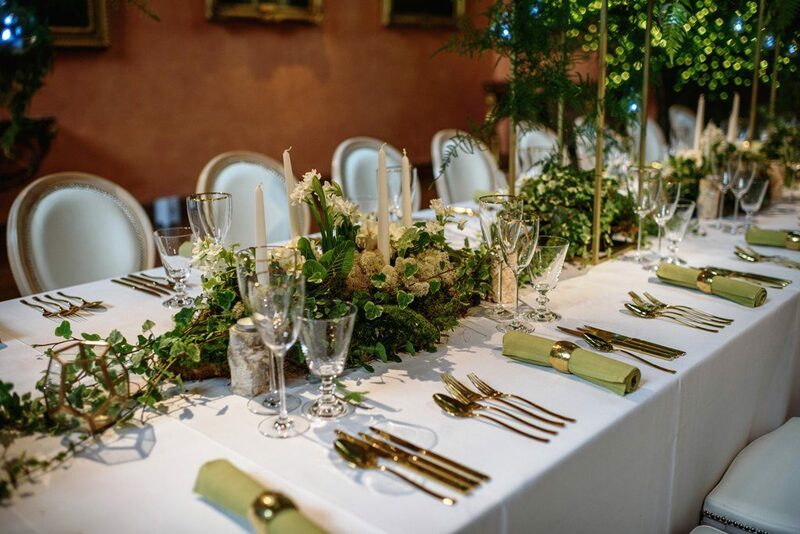 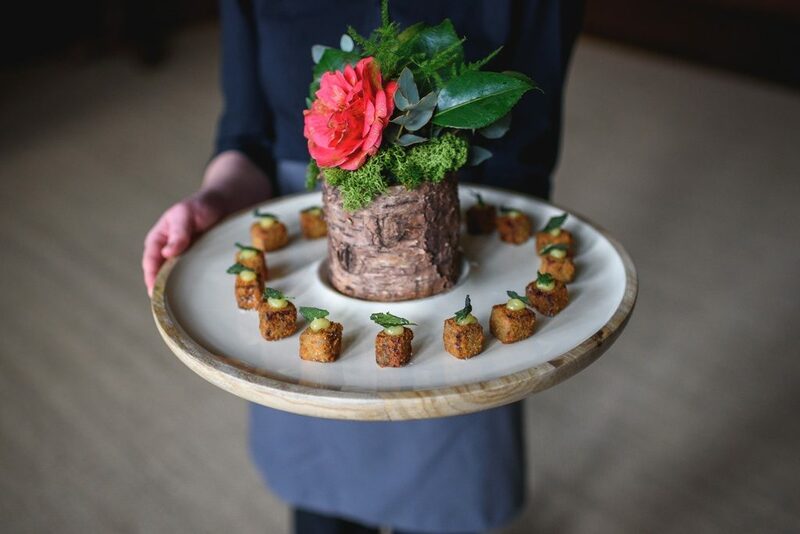 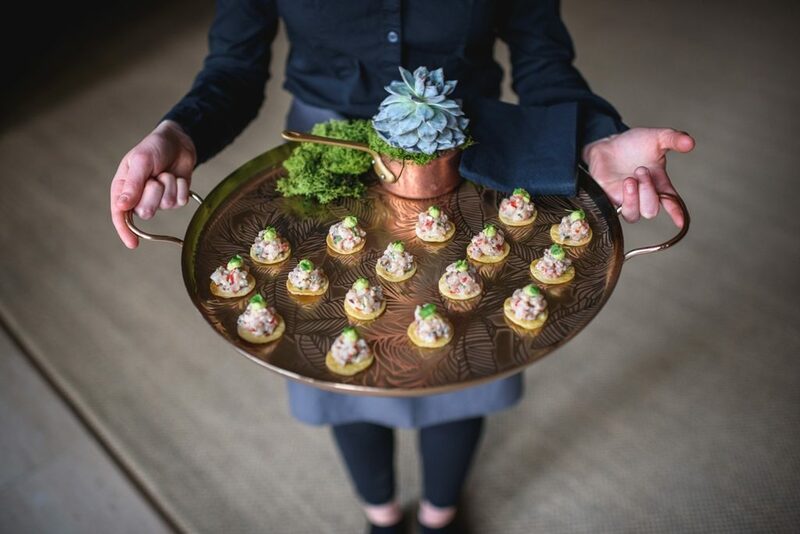 Minty Moore from Jacaranda catering asked for “ Botanical luxe” with a slightly contemporary feel……using geometrical shapes and gold stands for height. 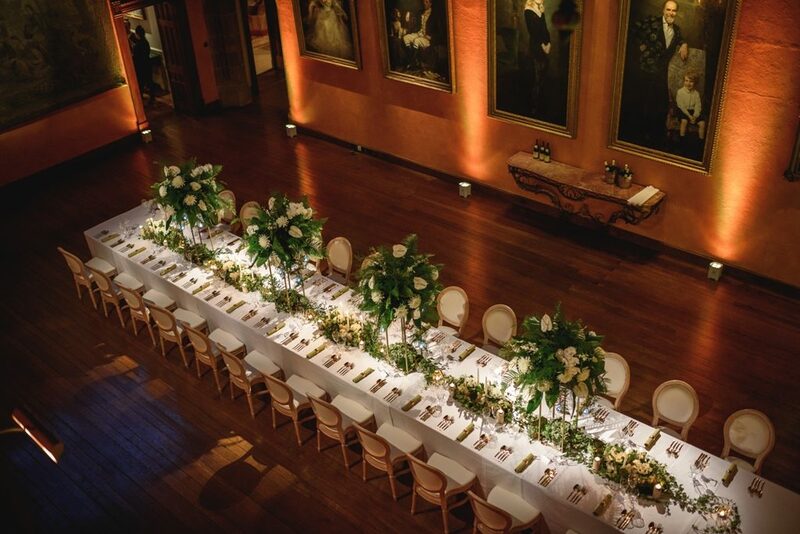 Our proposal included white anthurium, white spiky chrysanthemums and Singapore orchids for drape on the taller designs. 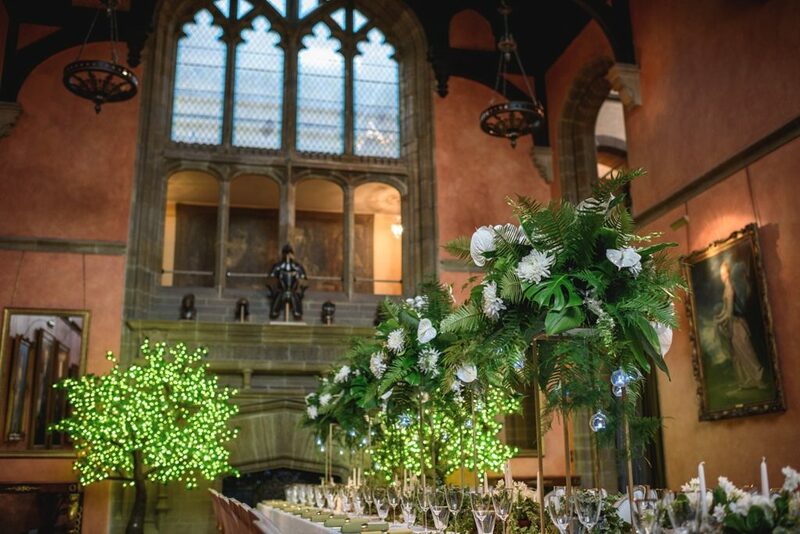 Light green foliage and ferns and draping asparagus which is light in texture allowed us to hang LED light filled glass baubles at eye level. 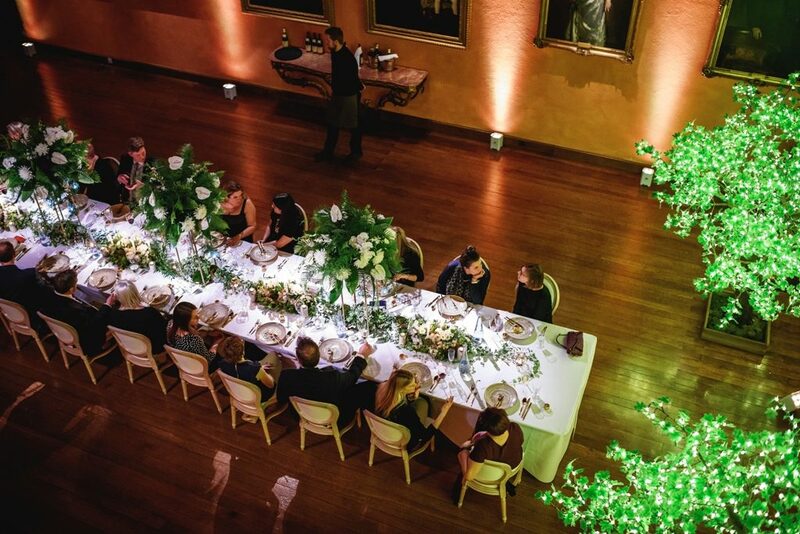 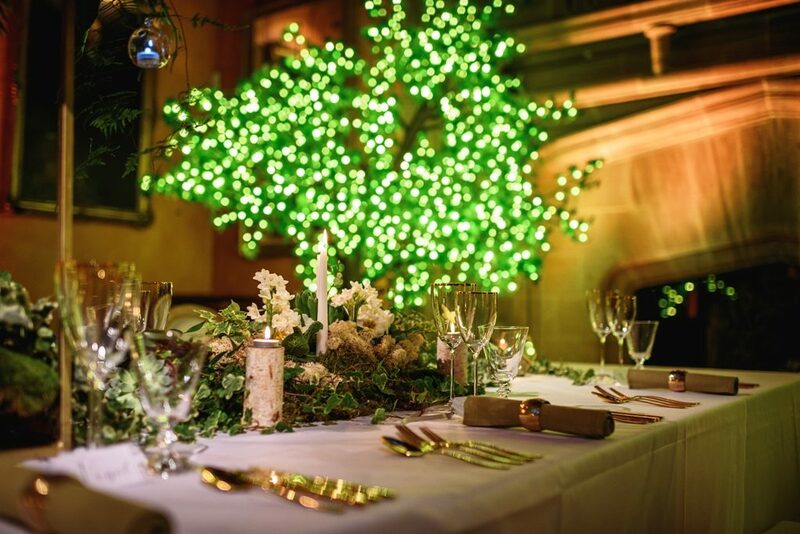 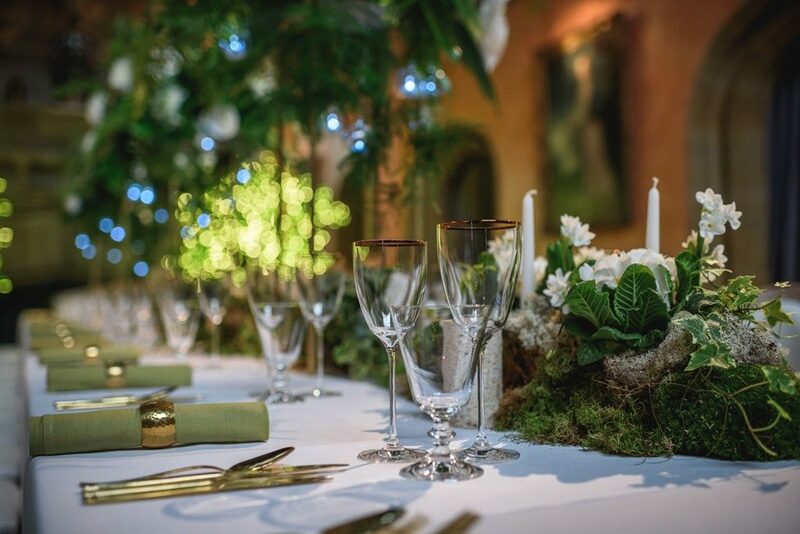 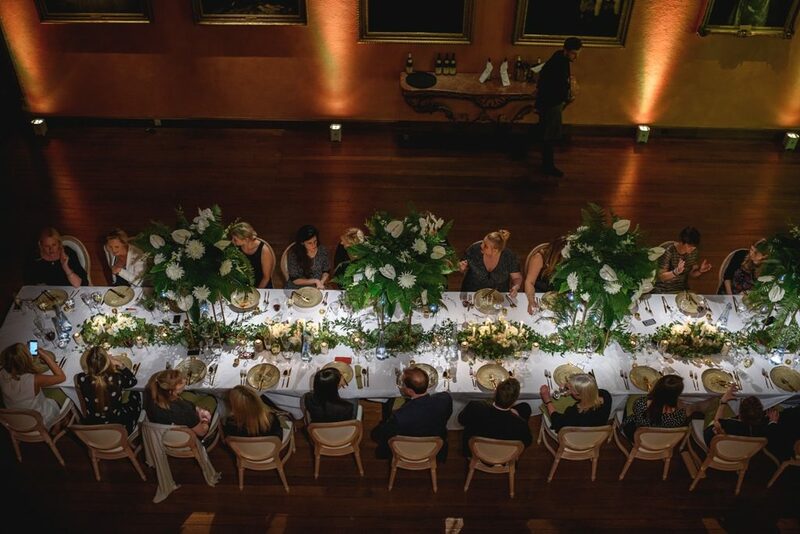 At table level an array of bulbs and plants with Spring scents, provided by narcissus, covered the centre of this 30ft x 4ft table in a carpet of moss, with differing heights of white dinner candles and tea-lights on silver birch stands, providing more lighting. 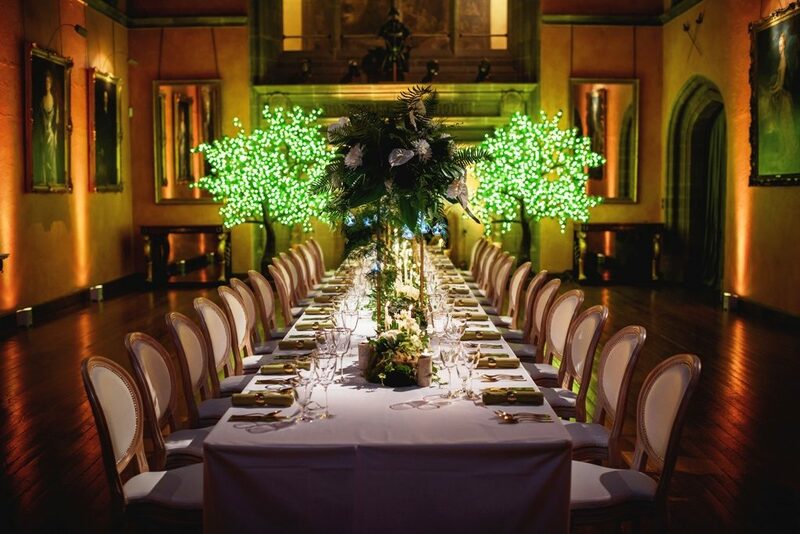 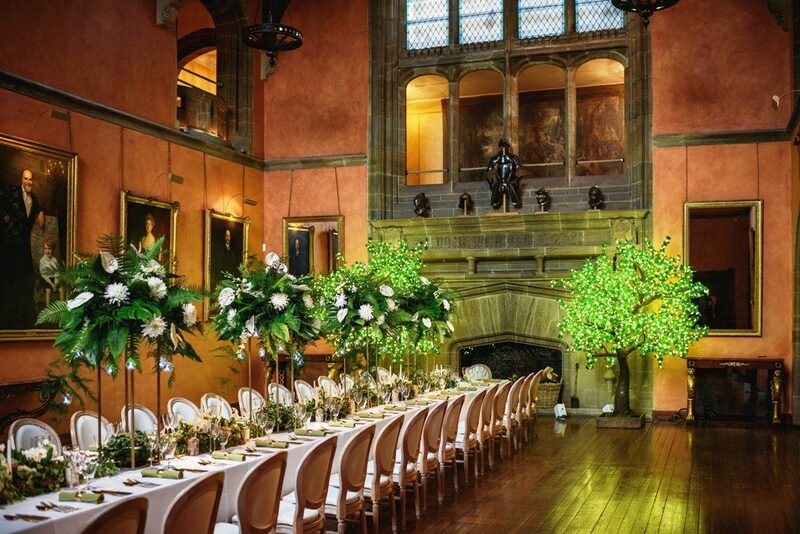 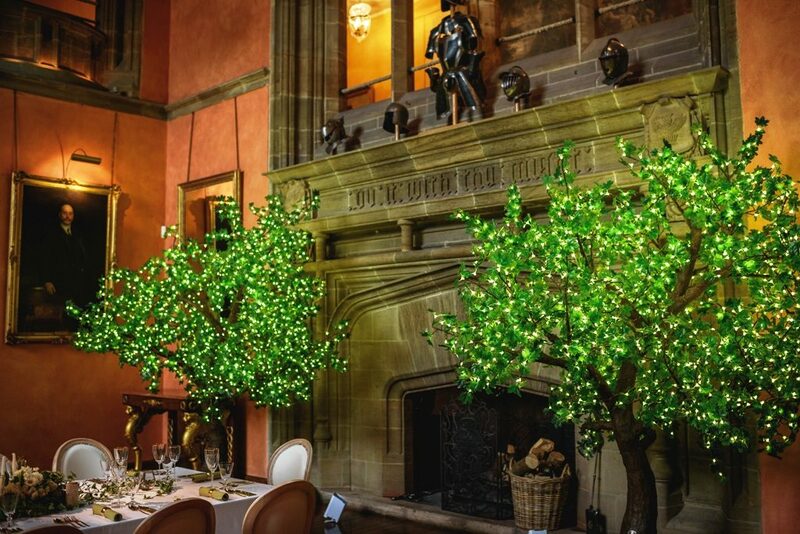 The venue was set by convert hire and academy furniture and lighting provided by twilight trees. 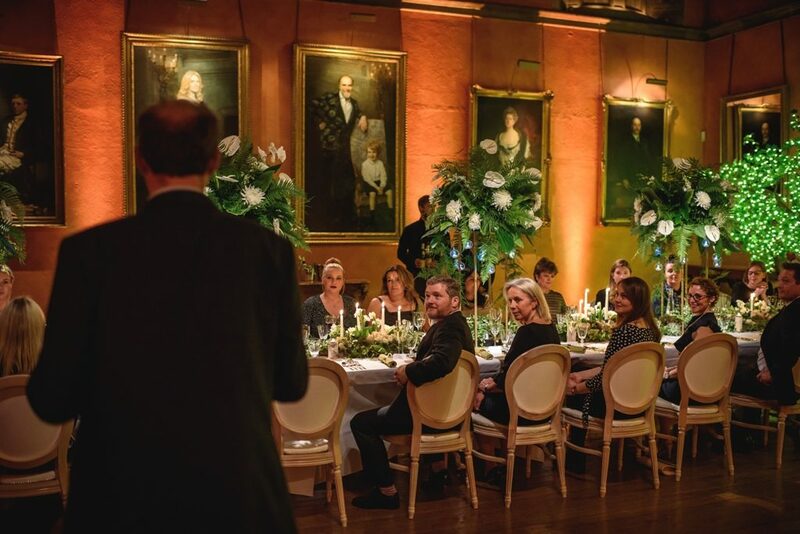 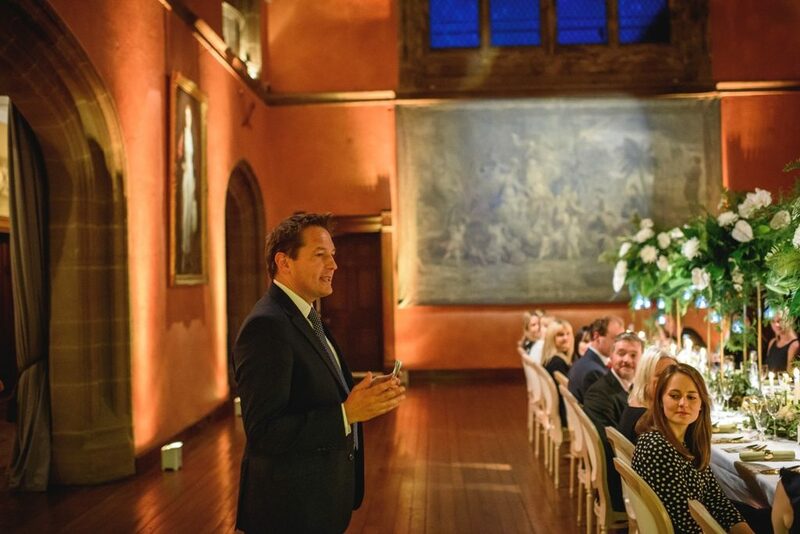 The dinner that followed was exquisite, hosted by the team at Cowdray and starting the evening with Perrier jouet champagne.